Roger Melis is described in print as a flaneur, a rambler who encounters time precisely by wasting it, and a chronicler, who precisely observered life in the world of East Germany. His photograph’s of crumbling facades and rainsoaked cobbled streets, confident workers, silent mistrustful farmers, teenagers at the fair, coal delivery men on their cigarette break, pigeons keeping watch, daydreaming children, melancholy poets, and provocative artists, were all housed suitably in a crumbling, dank, art gallery, with corridors leading off in all directions. There is nothing spectacular in these often melancholy pictures, but they make the specific qualities of cities, landscape and people tangible, scratching away at the poetics of everyday life. His fleeting impressions distill a timeless beauty and hold collective memories of East Germany in particular, casting a sober and critical gaze on a disillusioned society with great tenderness for unsung heroes. 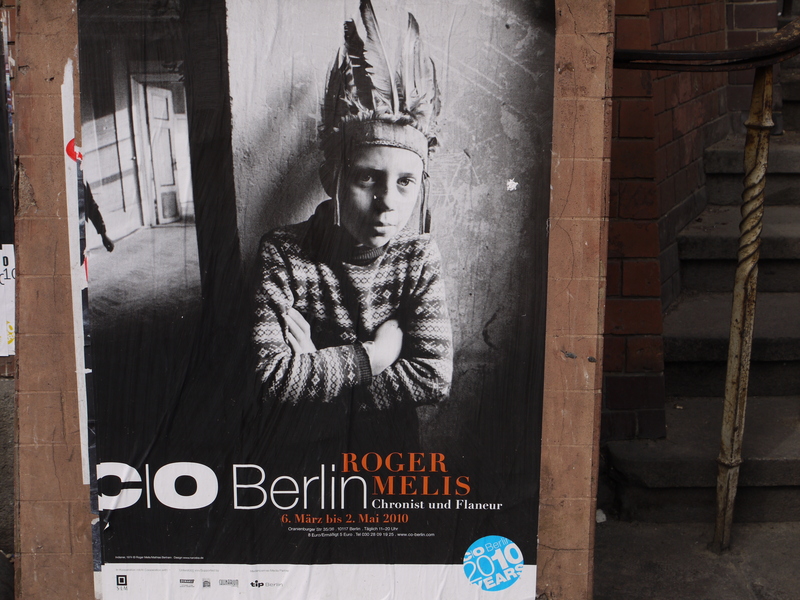 Roger Melis travelled to Moscow, Warsaw, Paris, Berlin, Krakow, London and Paris. He died in Berlin, in autumn 2009.